The story of composer and musician Michael Arne’s obsession with youth and beauty. But in his search for the Elixir of Life, is his brother’s assistance all it seems? Skin is a one act play about the central mystery in the life of musician Michael Arne, the legitimate son of Thomas Arne, the famous eighteenth century composer of Rule Brittania and God Save the Queen. Despite his successful musical career, Michael Arne became obsessed with alchemy, the search for the Philosopher's Stone and the Elixir of Life - so obsessed, in fact, that it led him to the debtors' prison, and the death of his first wife. He recovered from this disastrous setback, going on to conduct the first performance of Handel's Messiah in the composer's native country of Germany. He remarried, and despite his previous experiences, turned once more to the study of alchemy. What forced this successful, intelligent man to repeat his previous mistakes, only to die and leave his second wife in poverty? The audio version of Skin is now available. 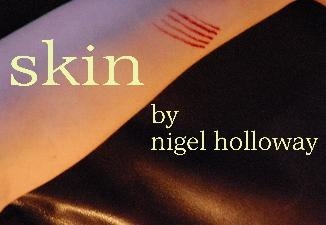 Skin is published by Production Scripts. Go directly to the script details here.